Back in the Lake District for a long Bank Holiday weekend. Beloved thought we should have waited until September but I know my work will be busy and I won’t be able to take time off. 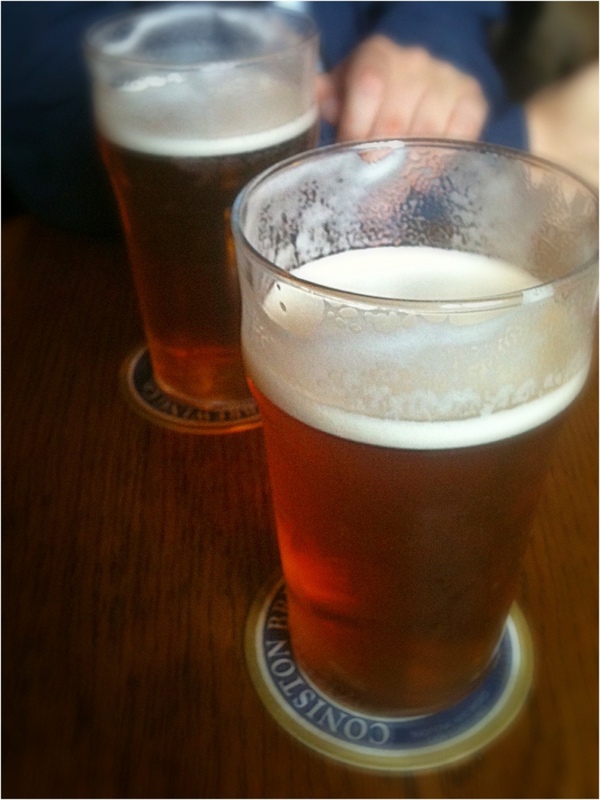 We arrived in Keswick on Friday afternoon and it’s been positively heaving with people since. Not that we have spent a huge amount of time in Keswick but you notice restaurants and pubs are much fuller than in early July when we were last here. It has been raining quite a lot since we arrived, which happens here pretty often making it more difficult or unpleasant to do certain walks, but so far, the weather hasn’t affected us much. On Friday afternoon, Skiddaw, the highest local peak at 931m and 5 and a half miles out of Keswick, was bathed in sunlight so we went for it thinking we probably wouldn’t get another chance. We were at the top just after 6pm after passing lots and lots of other walkers on their way down. We had the top to ourselves, a deserving end to a pretty exhausting climb (we are not very fit). I took lots of pictures with the camera, none with phone, so will post when back home. By the time we reached the top, the weather had completely changed and we were lucky that the rain didn’t start until we were almost back in Keswick. So happy that we did this, views were amazing throughout the climb and from the top. I loved how you couldn’t actually even see the top of Skiddaw for most of the climb, hidden as it was behind Skiddaw Little Man. We haven’t seen the top of Skiddaw since either, it’s been covered in cloud. Saturday’s weather forecast was ‘rain’ so we hopped on a bus to Ambleside and, from there, on another to Coniston for a day out in that part of Lake District. 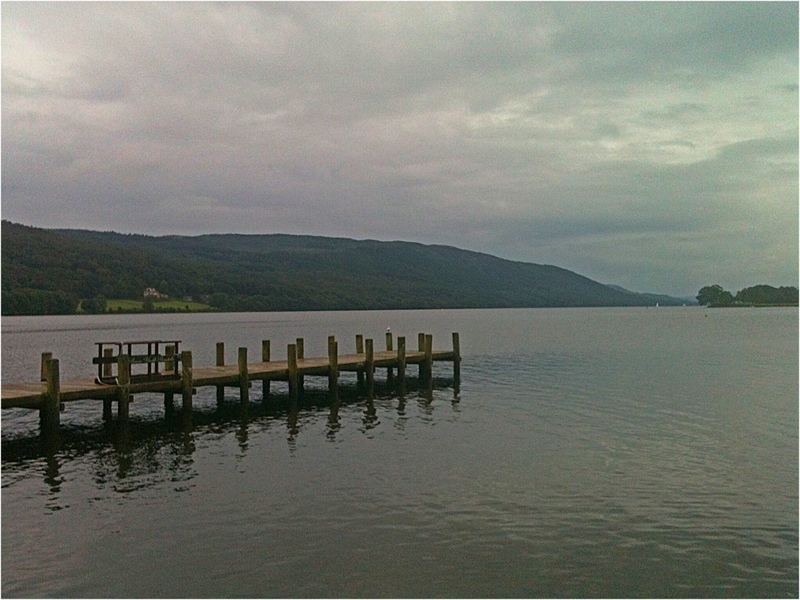 We were lucky with the weather again, for although it was cloudy, we managed to avoid the rain for most of the day. In Coniston, we walked to the lake shore, famous for Campbell’s crash while attempting speed record in the Blue Bird, had a look at Coniston Old Man standing tall above and thought it could be a good one to climb one day. 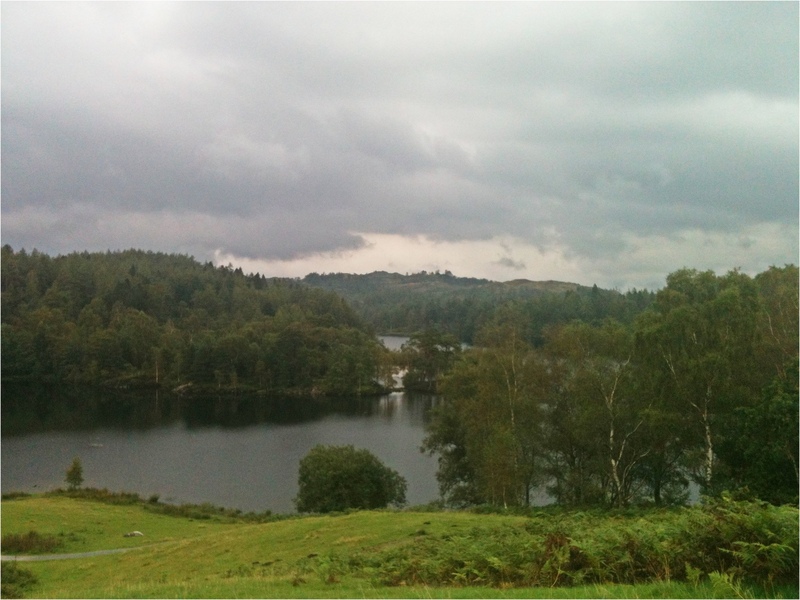 Then we headed back via Tarn Hows, a short walk from Hawkshead Hill (we got a bus to that point), and this was a simply magical setting, which my photograph doesn’t do any justice to. It was too overcast for my phone. Anyway, you can see that when Lake tourism became popular in the late 18th and early 19th centuries, this is what the ‘picturesque’ tourists had read about and come to see. They still do in large numbers. As we left to catch the bus to Hawkshead, lots and lots more cars arrived. Did not see anyone but us on foot. Hawkshead is a charming, twee little village, proper old school with narrow passages and twee shops and tea rooms, I’d been keen on seeing it for some time. We got some very good cake in a cute little tea room for the journey back and then sampled some local ales in a pub. By the time we eventually got back to Keswick, it was raining pretty hard. We only stopped in Ambleside long enough to grab a bite from a caf we really liked last year, Gaggling Goose I think it’s called or something similar. Weather forecast for yesterday said ‘dry’ so we thought we’d walk in Borrowdale. Got a bus to Seatoller and planned to climb to High Spy, then walk along the ridge and back down to Grange. Only about 20 minutes into the path towards High Spy, it started raining. We decided to have a go at climbing anyway, Wainwright’s guide pointed at only one rough and steep bit by disused quarries. Unlike Skiddaw, though, this climb was fun. When we got to the top, however, everything was covered in mist and cloud, you could not see more than 20 feet around you. This sort of thing happens a lot in the Lakes. 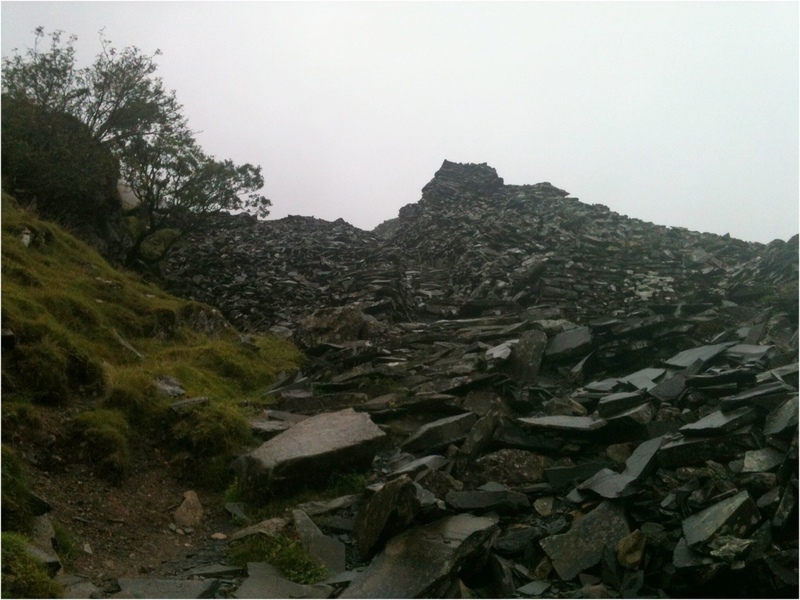 We abandoned the ridge walk, came back down past the quarries, then continued to Grange along the path lower down. Beloved said this was his favourite walk so far, this had everything, gills (mountain streams) and waterfalls, imposing cliffs, disused mine shafts piles and piles of slate, then the scenery completely changes into woodland as you get nearer to River Derwent and Grange. Have no idea how long the walk was, path from Seatoller to Grange is 5 and a half miles without taking the climb into account. Would love to come back here and do the ridge walk as well, it eventually leads to Catbells. 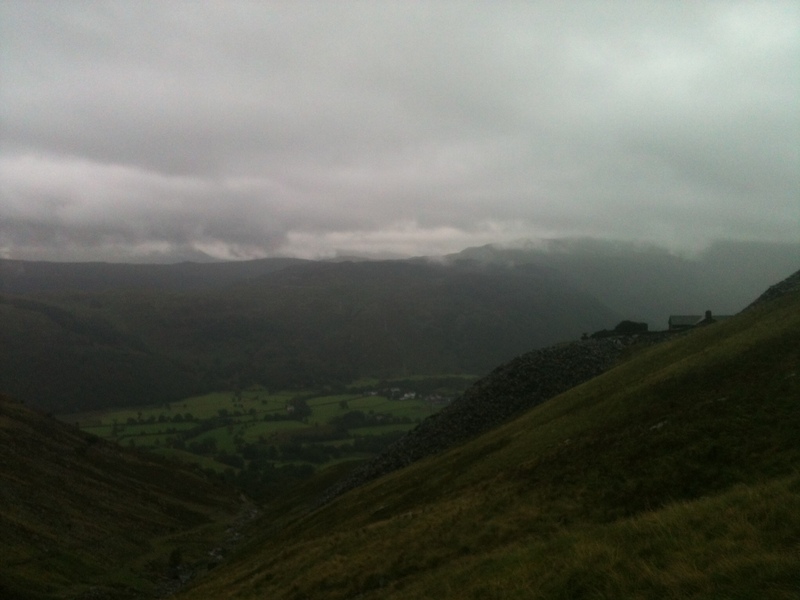 View over Borrowdale, mist settling on our way down. Not quite sure what we are doing today yet, think it’s meant to be raining, wifi in our room is practically non existent so even checking the weather is a laborious process, hence no blog posts over the weekend and this long, journal one this morning. Has taken a whole to get done so getting it out early before the signal goes off again!